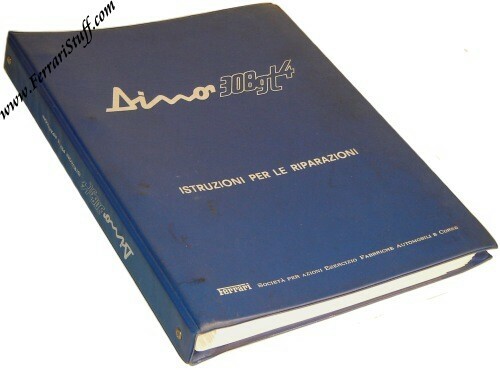 Ferrari factory original 1975 Ferrari Dino 308 GT4 Workshop Manual. This Ferrari Workshop Manual also serves as a basis for the Ferrari 308 GTB and GTS for which no separate manual was issued (!). Ferrari Print Number 104/75, issued in 1975. Good condition but dirty cover.